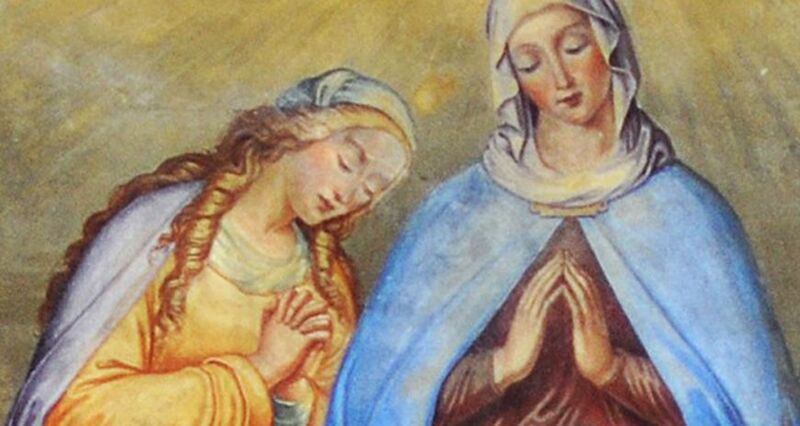 Which of the two biblical Marys had the correct praying posture? Christians have preferred, ever since approximately 1000 AD, to pray with folded hands. But the hands can be folded in different ways – symmetrically or non-symmetrically, either with the palms touching or with the fingers interlaced. One might assume that artists randomly and arbitrarily represent the folded hands symmetrically or non-symmetrically in their sculptures and paintings. But it turns out that it is not merely a matter of chance in the case of the Virgin Mary and Mary Magdalene. Without a doubt, the Virgin Mary is the mostreproduced woman in the history of art, while Mary Magdalene takes second place. There is thus plenty of material for an empirical study. Art historians have always studied the iconography of the two sacred figures quite thoroughly, but one peculiarity has always been overlooked – the Virgin Mary prays with a symmetrical hand position in 72.3 percent of the 801 observed images, while Mary Magdalene is portrayed with a non-symmetrical hand position in 70.3 percent of the 290 observed images. With a total of 1,091 objects, this is a statistic that scientists working in other fields could only dream of. The innumerable portraits of the Virgin Mary and Mary Magdalene can be categorised into various thematic areas, or into one of the three periods “Pre-passion”, “Passion” and “Post-passion”. When we evaluate the themes and periods individually, the significance of the phenomenon becomes even greater. For example, in portraits focusing on the Assumption, the Virgin Mary is represented without exception with symmetrical hands, while in portraits from the Passion period, Mary Magdalene is represented with non-symmetrical hands in 85.9 percent of cases. This discovery causes many to ask why the Virgin Mary is usually portrayed with a symmetrical hand position, while Mary Magdalene is shown primarily with non-symmetrically folded hands. A possible explanation is that the Virgin Mary is traditionally the symbol of perfection, while, conversely, Mary Magdalene represents a woman with a past. The symmetrical hand position thus expresses virginal perfection, while the non-symmetrical hand position represents imperfection and emotional turmoil and thus characterises the more earthly Mary Magdalene. As plausible as it sounds, however, this is still only speculation. Other theories are welcome at any time.